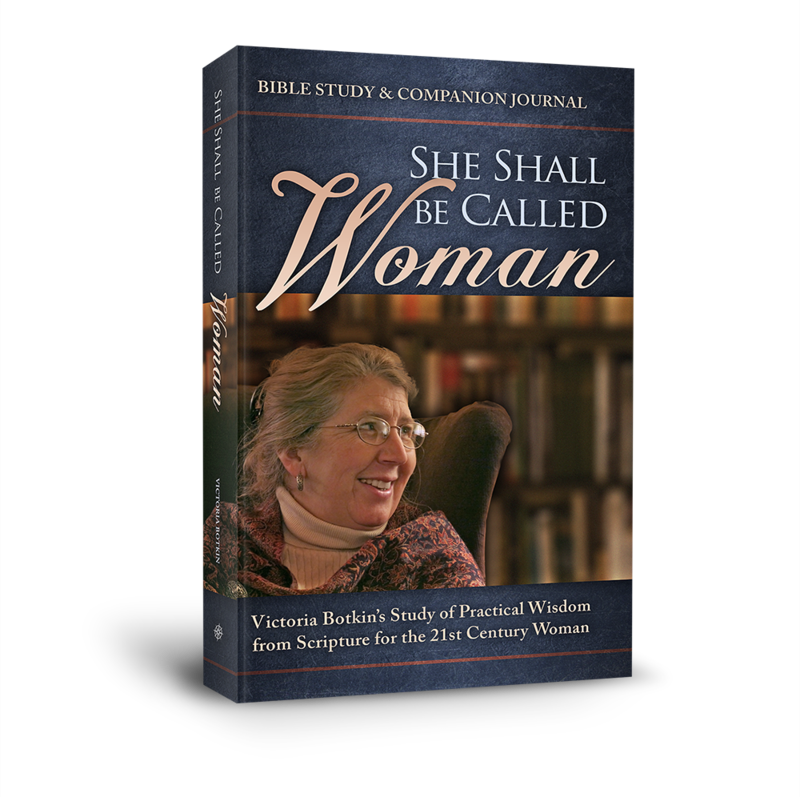 Home :: *COURTSHIP/MARRIAGE/PARENTING* :: Other Publishers :: She Shall Be Called Woman CD Album NEW!!! How does a wife help her husband be the man Christ wants him to be? How can she inspire him to love her? How can she discover the forgotten joys of being the helper God designed her to be? 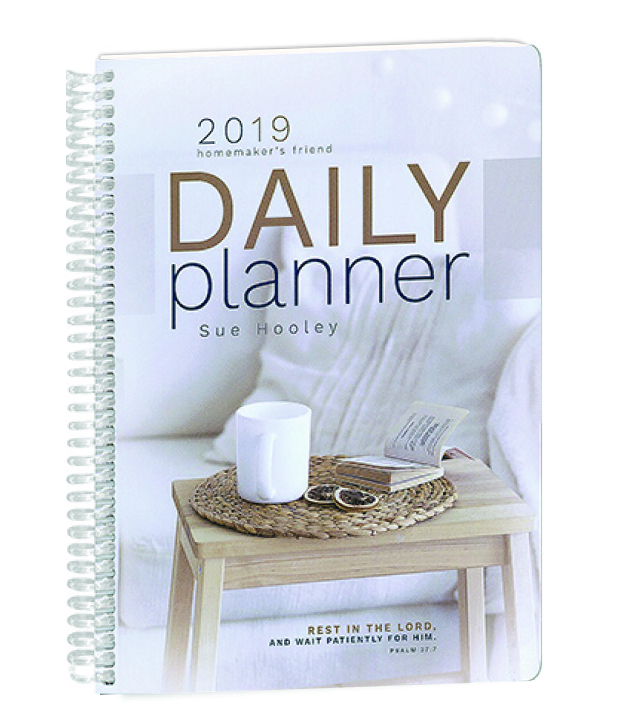 Victoria, beloved wife of Geoffrey Botkin and mother of seven, follows the injunctions in Titus 2 to address a host of practical topics for wives. 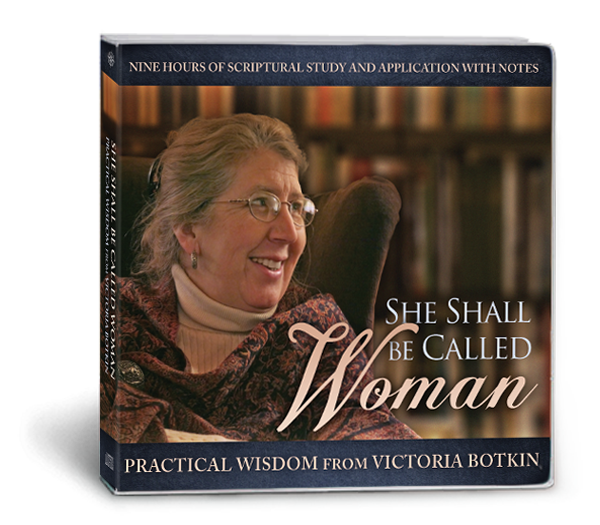 In this audio from the immensely popular "Evenings With Victoria Botkin" webinar series, listen to Victoria discuss subjects like woman's great power, sinful tendencies, independence vs. submission, beauty, dress, makeup, respect, women's rights, hospitality, pitfalls of perfectionism in homemaking, Hollywood expectations, trials, trust, and cultivating personality. Throughout, she responds to questions from women. A companion journal to the audio series is also available.